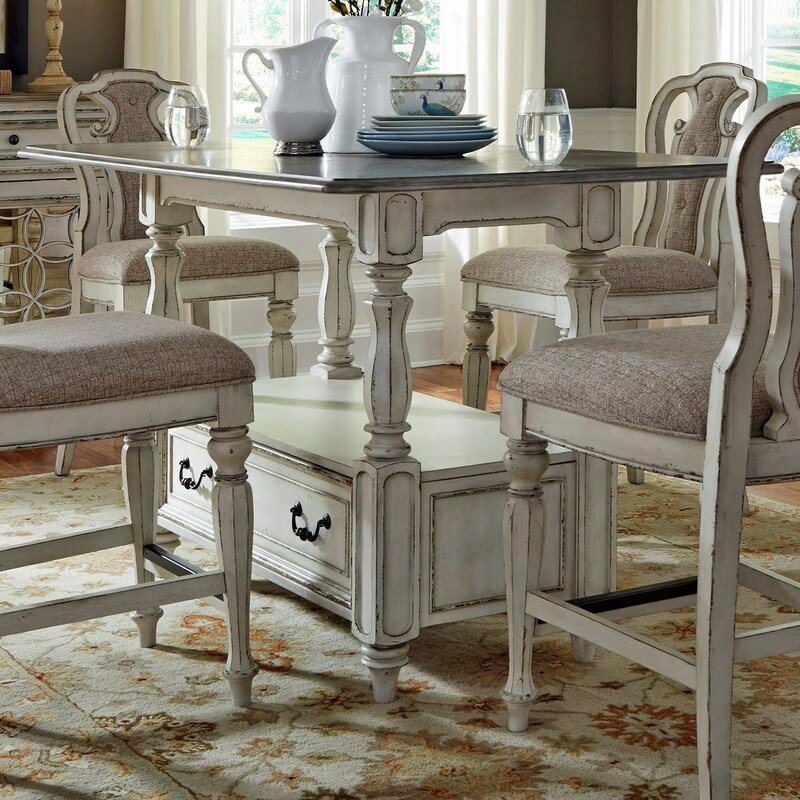 This beautiful table adds exceptional design to your home dining setting. Featuring four turned legs joined by a display shelf with a single storage drawer below, the table showcases a large white oak veneer top. The raised counter height of the piece makes it perfect for additional prep space or creating a more casual dining experience. The Magnolia Manor Dining Rectangular Gathering Table with Storage Drawer by Liberty Furniture at Miskelly Furniture in the Jackson, Pearl, Madison, Ridgeland, Flowood Mississippi area. Product availability may vary. Contact us for the most current availability on this product.